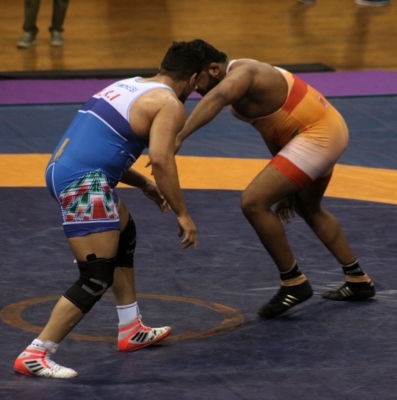 New Delhi, May 14 (IANS) Sumit Kumar of India settled for silver in the men’s Freestyle 125 kg category on the final day of the Asian Wrestling Championships here on Sunday. Sumit was outclassed 2-6 by Yadollah Mohammadkazem Mohebi of Iran in the final. The Iranian was technically superior to the local wrestler and dominated most of the contest despite briefly conceding the lead in the first round. India thus ended the tournament with a total of 10 medals — one gold, five silver and four bronze.